While up to 45% of women quit smoking during pregnancy, nearly 80% return to smoking within a year after delivery. Interventions to prevent relapse have had limited success. 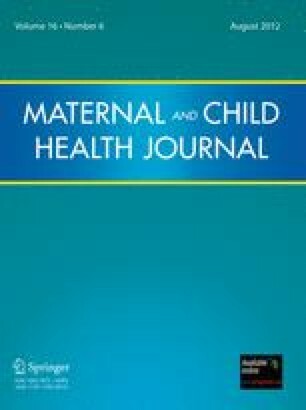 The study objective was to understand what influences return to smoking after pregnancy among women who quit smoking during pregnancy, with a focus on the role of social networks. We conducted in-depth, semi-structured interviews during the postpartum hospital stay with women who quit smoking while pregnant. Over 300 pages of transcripts were analyzed using qualitative methods to identify common themes. Respondents [n = 24] were predominately white (63%), had at least some college education (54%) and a mean age of 26 years (range = 18–36). When reflecting on the experience of being a smoker who quit smoking during pregnancy, all participants emphasized the importance of their relationships with other smokers and the changes in these relationships that ensued once they quit smoking. Three common themes were: (1) being enmeshed in social networks with prominent smoking norms (2) being tempted to smoke by members of their social networks, and (3) changing relationships with the smokers in their social networks as a result of their non-smoking status. We found that women who quit smoking during pregnancy found themselves confronted by a change in their social network since most of those in their social network were smokers. For this reason, smoking cessation interventions may be most successful if they help women consider restructuring or reframing their social network. This work was supported in part by the National Institute of Child Health and Human Development (T32HD07094); the American Academy of Pediatrics/Flight Attendants’ Medical Research Institute—Fellowship Award and the Yale University School of Medicine Short Term Research Fellowship. The responsibility for the content of this article rests with the authors and does not necessarily represent the views of the Institute of Medicine or its committees. The authors would like to acknowledge Eugene Shapiro MD, Leslie Curry PhD, Marcella Nuñez-Smith MD, and the nurses and staff of Yale-New Haven Hospital West Pavilion Floors 10 and 11 for their insights and support during the completion of the project. Finally, we would like to thank the women who participated in this study. By giving their time, insight, and suggestions, they may help other women achieve lifelong smoking cessation.